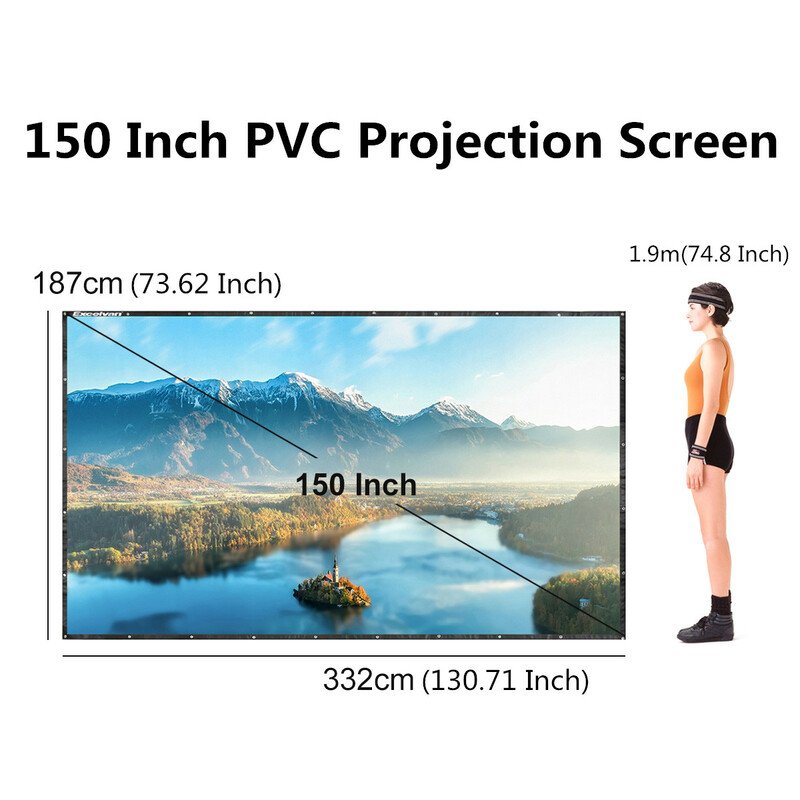 This 150 inch 16:9 projector screen is made of PVC Composite resin material, it is a pliable material with smooth non-deformation surface. 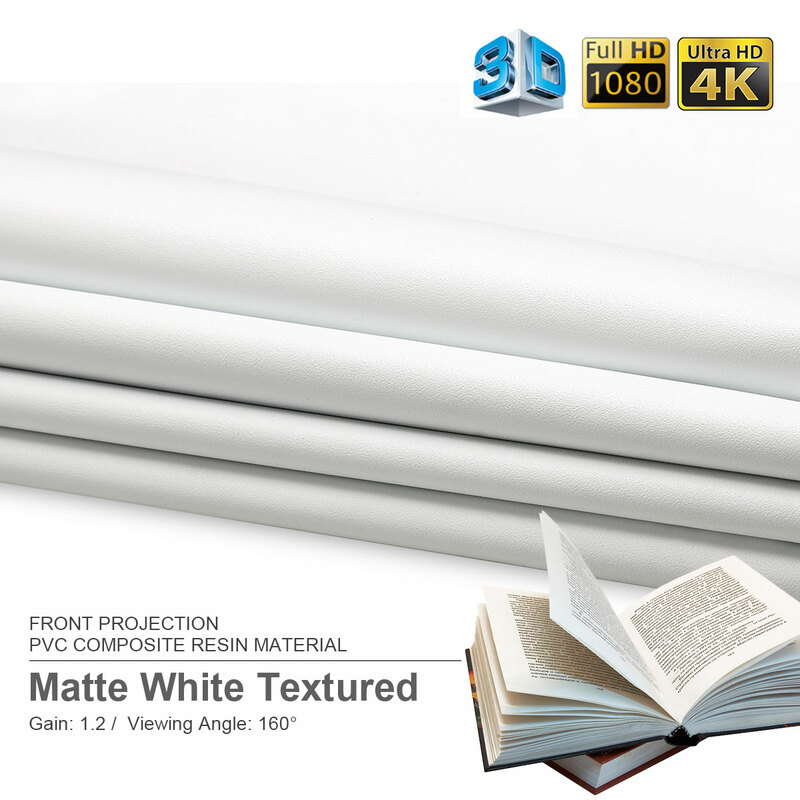 This projector screen with 1.1-1.2 gain and 160° viewing angle. 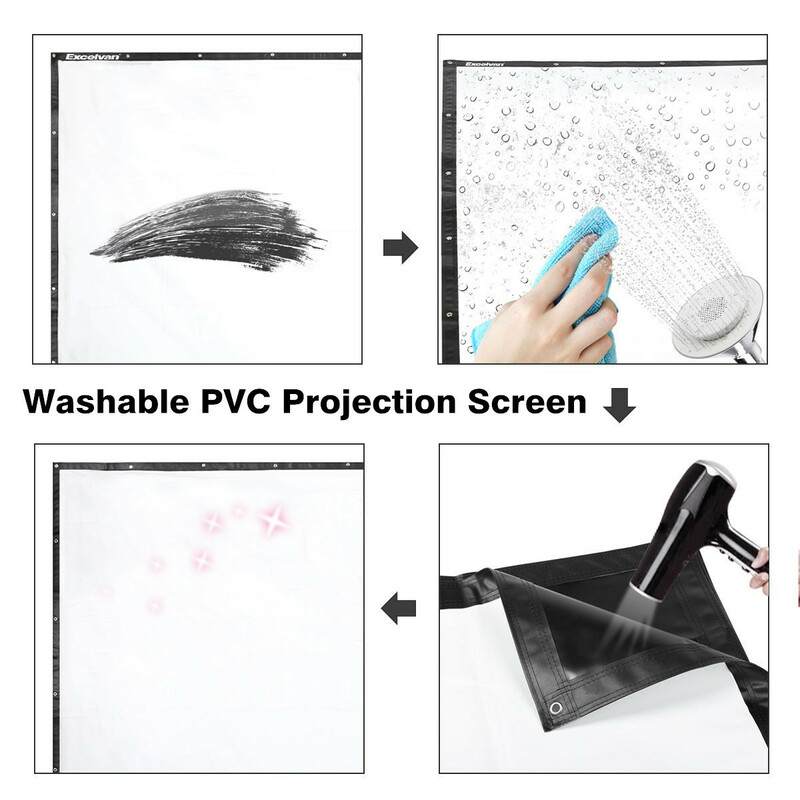 It is compatible with projectors like DLP, LCD, LED, 3D, etc. which provides us a perfect flicker-free visual enjoyment with optimal crystal clear image and color reproduction. like command and control center, large commercial activity center, the performance entertainment center, conference center, stadium center, large theater stage performances etc. but no need to worry about it, the wrinkle will disappear naturally after hung it up on a wall for about 3 days. Besides, because of its excellent tensile properties, you can also remove the wrinkle in a second by pull the wrinkles with your hands slightly. 1. Light weight and compact one-piece design, convenient to carry and easy to set-up. 2. 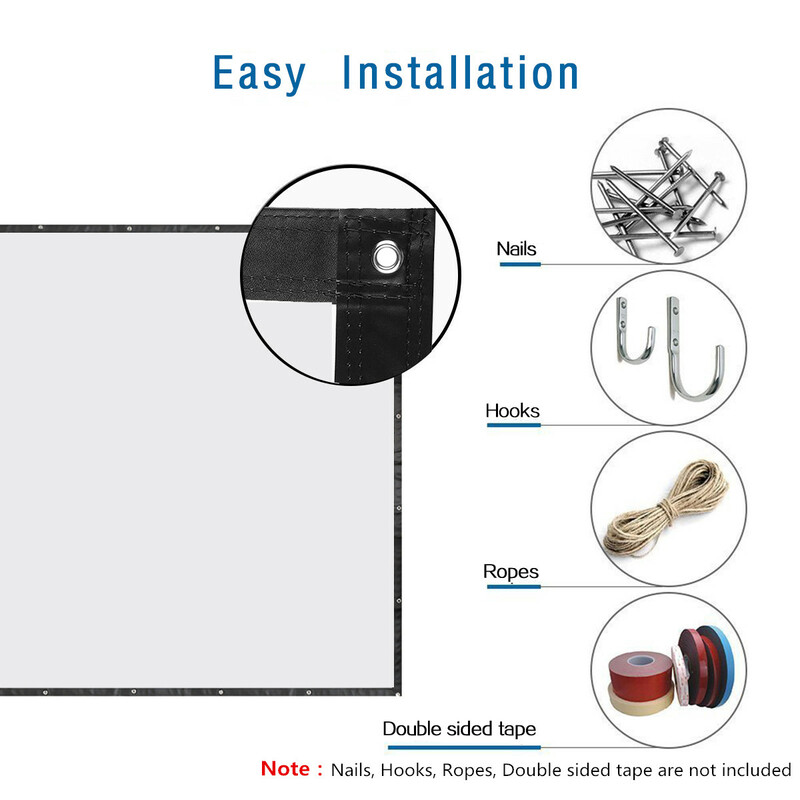 Reinforced edges with grommets installed, which makes the screen durable in use. 3. 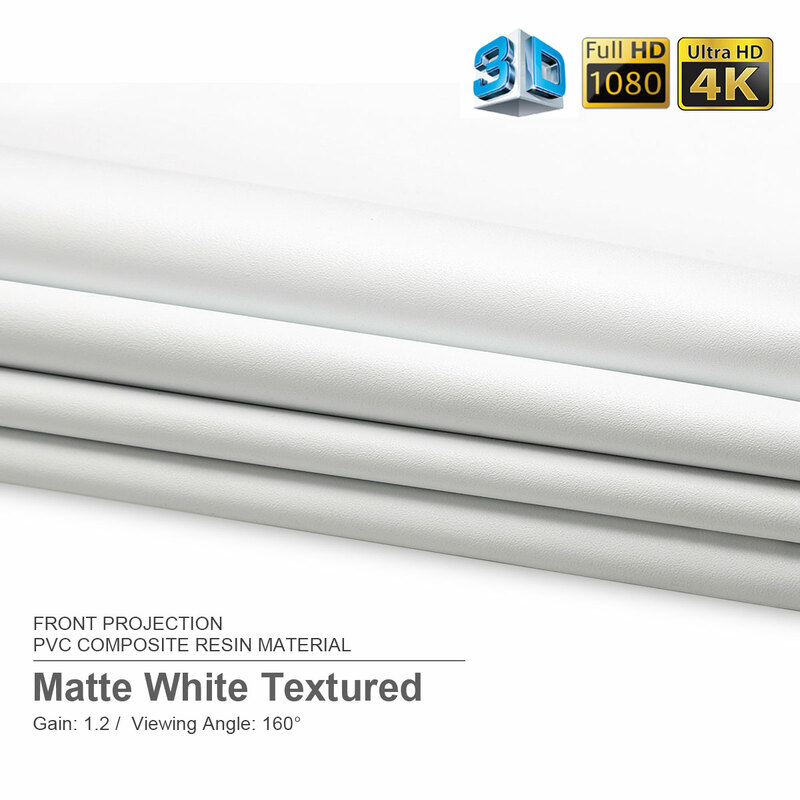 Smooth PVC material surface which exhibits excellent high definition resolution video display. 4. Can be spot cleaned by mild soap or water (do NOT use abrasives). 5. 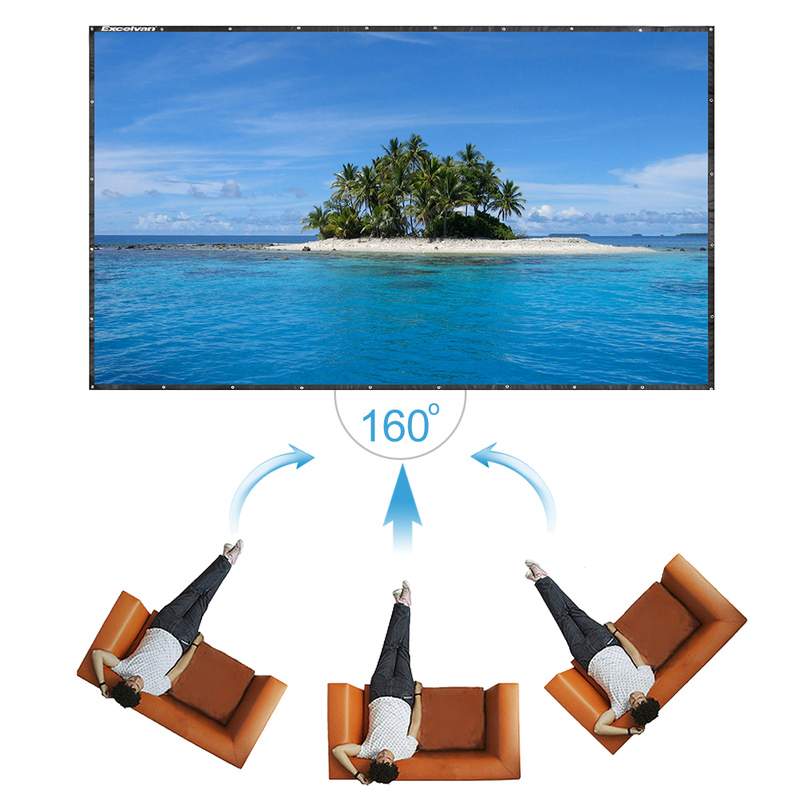 16:9 screen format and diagonal 150",which offers 3.32M*1.87M ( 130.71" x 73.54" ) viewing area. 6. Compact and travel-friendly option for home theater movies, small meetings, camping, presentations in conference, public display, etc.